Introducing suave little Bubby the bear, from Knitty.com. 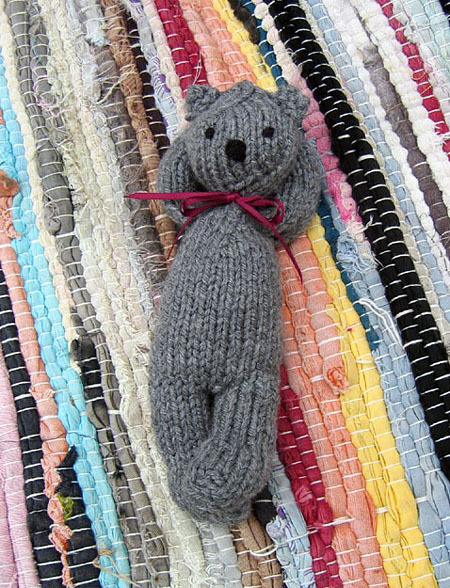 Another addition to the yet-to-be-knitted imaginary planned menagerie. Looks easy and quick too, not to mention it’s a great little stash buster!